Murray quickly became part of the already vibrant loft jazz scene, and his early recordings are consistently hard-edged and dissonant. But where the previous generation kept pushing the boundaries, Murray and other new lions took a step inward. In Murray’s words, “I grew out of the loft jazz, but loft jazz couldn’t hold me.“I had such a dynamic quartet, and I thought it would be a shame to have people like Eddie Blackwell and Freddie Hopkins and Art Davis and Ray Drummond and John Hicks on the bandstand and not swing. It would be like some kind of sin.“I was one of the first guys to play at the Vanguard from that time from the loft jazz scene. I started playing there, and Max Gordon said, ‘Keep playing those ballads.’ After all that happened I guess people discovered I could swing and I could bring people in, and people would come out to hear me in droves. Another key New York club for Murray was Sweet Basil, where he premiered an octet and a big band, both of which featured some of the hottest musicians from that period. Even in a more straight-ahead context Murray avoided getting too comfortable. While discussing his career since moving to Europe, I mentioned an interview where he said journalists make it seem like he’s been twiddling his thumbs ever since—something he’s quick to refute. “When I was in Europe, I’d come to New York every three weeks and do a recording and do some gigs,” he said. “I did three recordings in Cuba, I did one in Argentina, I finished my contract at Justin Time, and I was in New York the whole time. I’ve been doing concerts, the World Sax Quartet and all that. 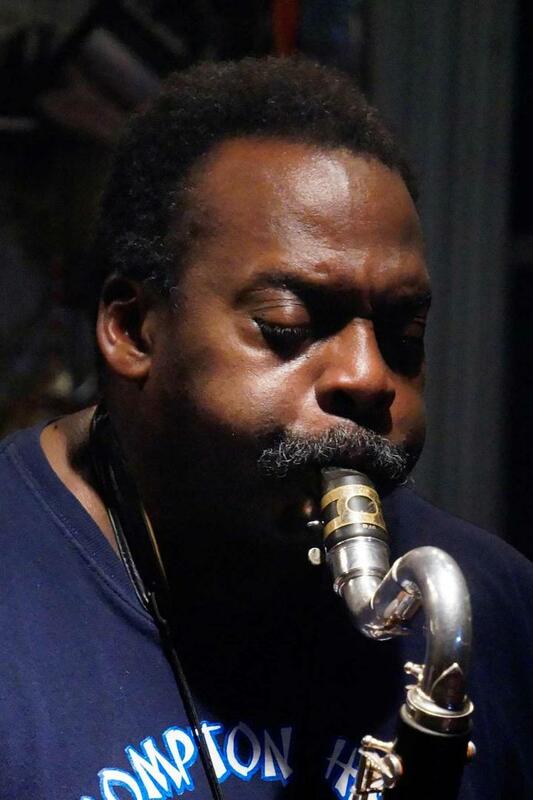 These days, however, Murray is spending more time in New York, and at the end of our conversation he began discussing potential upcoming releases in multiples (including both live and studio albums with El’Zabar and a new octet project), suggesting he may return to his old prolific self. It seems entirely possible that Murray could shake up the American jazz scene like he did in the 1980s. We’ll see if we can keep up with him.